Loch Meig is a long, narrow reservoir lying in the River Meig valley in picturesque Strathconon. It was formed by a dam at the east end during the Conon Hydro-Electric Power Scheme development of the 1950’s. It lies at an elevation of 279 ft (85m) above sea level, is approximately 1.9 miles (3 Km) in length and just 360 yards (330m) wide at its widest point, and has a total area of 116 acres (47 hectares). 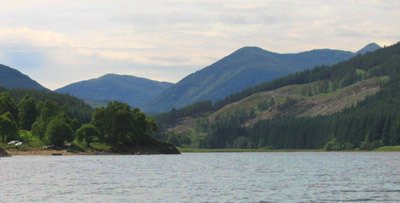 The loch is generally shallow (with the exception of near the dam at the east end), overlying the once fertile River Meig valley floor. 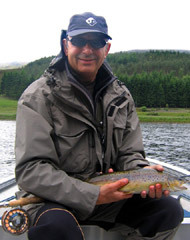 The fishing is by fly only, and both traditional loch style fishing of wet flies and modern stillwater tactics, notably buzzer fishing in the spring, can be very productive. 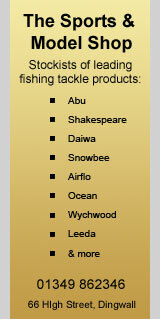 In recent years the angling club have introduced a brown trout stocking program, so in addition to the indigenous wild brown trout stock typically ½ to ¾ lb in size, the club introduces several hundred larger locally-reared brown trout each year. 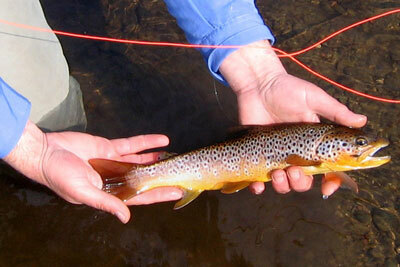 The total catch return for all brown trout from Loch Meig for 2011 was 506 fish, averaging around 1lb. 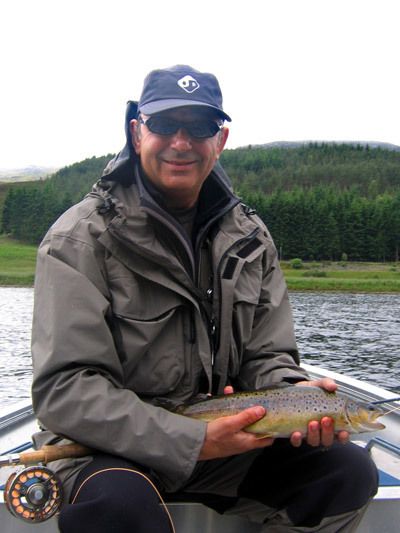 In 2008 the largest trout ever recorded from the club's waters was caught from Meig by Alisdair Hunter weighing in at 9lbs 1oz! There are also some big Perch in Loch Meig that are occasionally caught on the fly - In May 2005 club member Bill MacFadyen landed one of 3lbs 2oz! The club have 4 boats for hire on the loch, as well as a custom built ‘Wheely Boat’ that can accommodate two wheelchairs plus helpers. 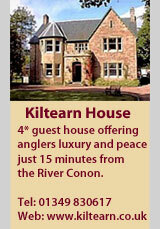 The bank fishing can also be very good, particularly at the west end of the loch. Flies to try include Bibio, Kate Maclaren, Olive Bumble, Black Pennel, Black & Peacock Spider, Loch Ordie, Hare's Ear nymph, sedges and hoppers. 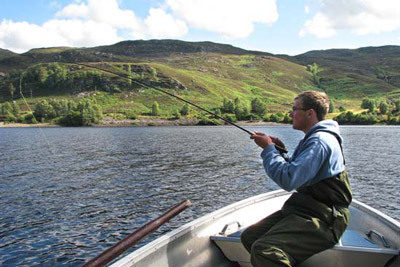 The season for Loch Meig runs from 1st April to 30th September, and the angling club also permits Sunday fishing.